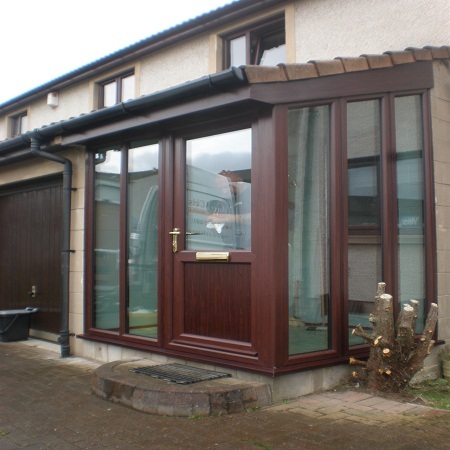 Looking for uPVC Doors in Edinburgh? When you are looking for the best uPVC doors in Edinburgh, be sure to call the friendly and helpful team here at Celsius Windows. For years we have been offering our services and we would be delighted to speak to you today if you are thinking about upgrading your doors or windows. A new uPVC door is a great idea if you want the best in security, insulation and style for your home. We have so many designs to show you and give you the freedom to choose the door and door furniture that best matches your personal taste. We can measure your doors for you and provide you with a cost effective quote to consider at your leisure. Why not speak to us today to find out more about our services and how we can help you? We really are the best double glazing company to call. Whether you are looking for a new front door, a new back door or both, we have a striking range to show you. By fitting a new uPVC double glazed door, you not only add an aesthetically pleasing addition to your home, but you also improve your security too. uPVC doors come with very robust locking mechanisms and are also made to the highest standard. You could even notice that your insurance premiums go down if you tell your insurance company you have a uPVC door fitted. If you are considering uPVC doors in Edinburgh, get in touch with our team today to find out more about our range and to obtain a cost effective quote. At Celsius Windows, we offer nothing but the best when it comes to high quality double glazing and our team is standing by ready to speak to you today. Why not call us to find out more about our range? We would be delighted to tell you more about our services and to arrange a free survey of your property at your convenience. Speak to the glazing experts and find out why we are number one when it comes to uPVC doors in Edinburgh. We have years of experience and we will ensure your new doors are fitted to the highest possible standard.